Zach & Amanda won the last challenge! But with the power of the double vote, comes the responsibility of coming to an agreement on who to use it on. Even though this team has won before, and has voted for rookies Jozea & Da’Vonne, Amanda wants Bananas & Tony. Those guys, however, are buddies with Zach. Cara Maria meets with Bananas & Tony to let them know that Amanda’s best friend is Shane, so they should go for someone else… like Smashley & Hunter, who showed up late and have been a hot mess. 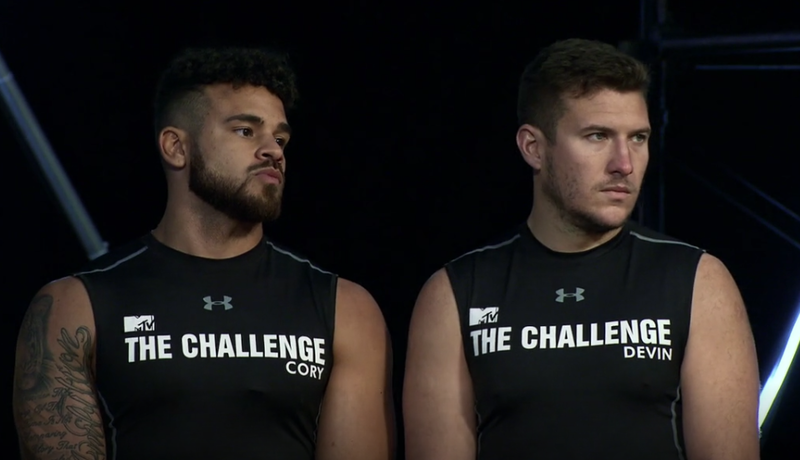 Kyle and Paulie fight (10 points each) in the Redemption House about Cara Maria. Back at the house, Da’Vonne & Nelson bond over being from the same place. Bananas tries to court Jozea & Da’Vonne to vote for Shane & Nelson. Amanda sees Tony and Zach talking and yells at Zach (5 points for verbal attack). She gets upset that Zach doesn’t want to vote his friends in and starts on a whole “my friends are more loyal than your friends” argument. She yells at Bananas who is up eavesdropping on the balcony (5 points for verbal attack), then yells at Tony for not being loyal and voting in his “idol” Bananas (5 more points for verbal attack. ). Amanda sits down with her partner in an attempt to have a strategy conversation, but she and Zach get into a verbal fight about their friends/alliances (10 points each). When T.J. comes for the vote, Zach & Amanda compromise and vote Jozea & Da’Vonne. Shane & Nelson, as well as the other “Lavender Ladies” vote Bananas & Tony. Cara Maria & Marie vote Smashley & Hunter, as do Bananas & Tony. It comes down to Jozea & Da’Vonne, and, of course, we don’t see who they pick. At Armageddon, the truth comes to light up the platforms. There’s a tie, which means Jozea & Da’Vonne voted Smashley & Hunter. Now there’s an issue. Amanda won’t vote Smashley. Zach won’t vote Tony. T.J. says they have ten seconds to decide, or they go in. Amanda says Bananas & Tony again, yells more (5 more points), and then walks down to reluctantly follow her partner. Now that Zach & Amanda are going in, they pick their favorite targets Jozea & Da’Vonne. Da’Vonne goes on a crying (10 points) rant about how she’s sick of how tough it is to be a rookie. She yells at Smashley & Hunter (5 points for verbal attack), who rightfully point out that they didn’t have to be in this position (all they had to do was vote Bananas & Tony), but Da’Vonne tells them to STFU and continues her tirade… clapping and telling everyone off. Then T.J. brings in Mercenaries Cory & Devin to play Shake It Off against BOTH teams (Zach & Amanda and Jozea & Da’Vonne). There are two ropes with medallions on them. The teams have hang on the ropes and shake off the medallions. If either partner falls off, they have to reset entirely. Zach & Amanda take on the mercenaries first. Zach takes a medallion to the face and bleeds (5 points). Zach & Amanda are ahead after Zach figures that he has to jump on the rope to get enough power to knock it off. Zach & Amanda’s one remaining medallion is next to Amanda and she just doesn’t weigh enough to get it down. Cory & Devin win (25 points). Amanda is upset (we haven’t been giving crying points unless we see tears or eyes being wiped). Amanda’s Lavender Lady friends come to comfort her. Zach may have broken his nose. Amanda looks concerned for maybe two seconds before her and Zach get into a fight again (10 points each). This time Tony and Shane jump in (10 points for them, too) and the fight is about how liked people are in the house. It’s ridiculous. Round 2 of the elimination is obviously different as the strategy has been set. Da’Vonne, like Amanda before her, doesn’t seem to realize that holding the rope and shaking it is the ideal way to get medallions to fall. It’s a close match, and ultimately, it’s tied. Jozea & Da’Vonne struggle with the same medallion Zach & Amanda couldn’t get. It’s their downfall. Cory & Devin win (25 points). Everyone but Cara Maria is happy to see the rookies out. The Lavender Ladies think this is good for their alliance, because Jozea & Da’Vonne weren’t with them, But now another clique, “Team Young Buck,” (Tony, Nelson, Hunter & Cory) are all together in the house. Bananas is pumped about it, because this swings some potential votes his way. As he reminds the Lavender Ladies that they can’t all go to the final together, Bananas, Shane, Hunter & Nelson puff their chests and erupt into their own fight (10 points each). Amanda defends her, “I hope your horse dies” insult with saying that at least Amanda didn’t hope Cara Maria died. Oh. Okay, then. 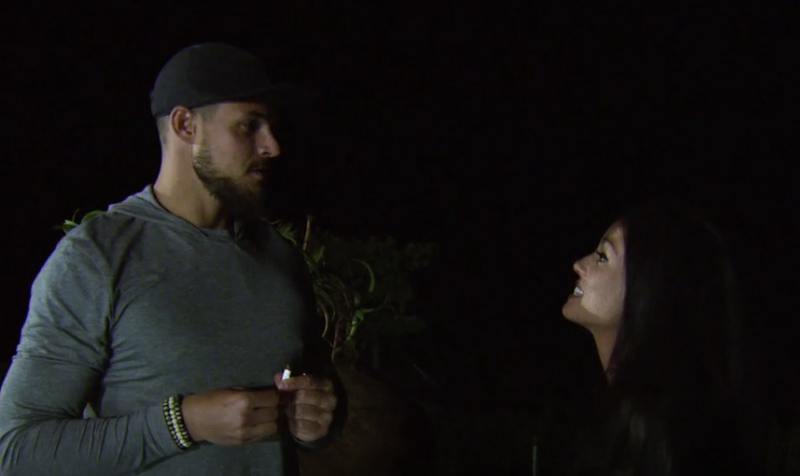 If they were more civilized and not pushing each other at every opportunity, Zach & Amanda would have just had a quick rock-paper-scissors for which team goes to the elimination. At some point did Bananas & Tony move their strategy from asking Jozea & Da’Vonne to vote Shane & Nelson, to asking them to vote Smashley & Hunter? Devin, I can’t love you OR hate you, but have it be “a brilliant fusion” of both. Amanda is on Team Devin, too. Amanda has a medallion conspiracy theory… we’ll probably hear more about it at the reunion.